The boys from the 348 and the beautiful ladies of Kappa Delta posing with the 2018 SING trophy. 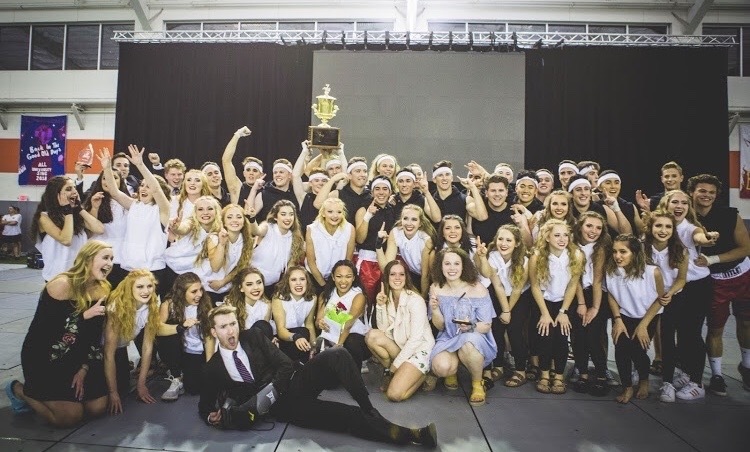 Over the course of the 2018 school year the guys worked tirelessly with the women of Kappa Delta to bring home the trophy in the 82nd annual IFC SING competition. This was the best finish in fraternity history since 1957, when they also brought home the trophy. The event took place May 4th, 2018 and the team killed their routine in front of 3,000 family members and students from across all of the Greek community. The boys are looking to go back to back in 2019 with the ladies of Sigma Kappa.